Botox® is the Perfect Complement and the Next Step in Complete Cosmetic Dentistry. 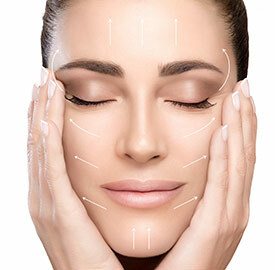 Dentists and Botox® have quickly become hand in hand since dentists are already familiar with the entire face. In many cases of Botox® dentistry the use may be cosmetic but, in others, its application is therapeutic. Long before Botox® was used for anti-aging and the “smoothing of wrinkles”, it was used to treat conditions which were more than cosmetic. It has been used to treat spasms and other conditions which are oftentimes painful and debilitating. Dentists use it for a range of conditions other then cosmetic including facial spasms and TMJ therapy. Tired of those lines around your eyes and brows looking back at you in the mirror? Want to look 5 years maybe 10 years younger? BOTOX®may be your answer. has been used therapeutically for over 17 years and cosmetically has been one of the most popular physician-administered procedures since 2006. The procedures is for both men and woman and men have accounted for over 1 million treatments. Botox® is administered to the “dynamic” lines- caused by overactive muscles in brow and frown areas (ex: scowling from the sun). During a consultation with Dr Powless he can determine if you are a candidate for BOTOX® treatment and provide an estimate of the amount needed to achieve your best results. 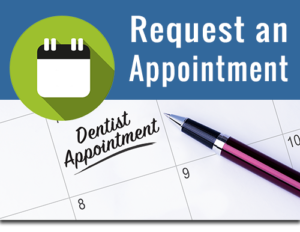 Is My Dentist Qualified to Give Botox® Injections? While most individuals associate their dentist with teeth – dentists are also experts in the head, face and neck. As long as the dentist has received the proper Botox® education, they are as qualified as any other medical professionals to administer Botox® injections! Dentists have all the pre-requisite training to offer these injections in a safe atmosphere. Since they are medical professionals this is not outside the scope of their expertise. JUVÉDERM® is injectable gel Hyaluronic acid dermal filler that is used for “Static lines”. Static lines are those lines which are visible when the muscles are at rest. Over time your skin changes and reduces the production of naturally hydrating substance called Hyaluronic acid (HA) resulting in facial wrinkles and folds like those “parenthesis” line around your mouth. The injectable gel is administered under the skin to smooth out the wrinkles and folds in your face. You will see results immediately and may last up to 1 year.